appropriate quality raw materials from suppliers in various parts of the world. quality remain high and consistent. 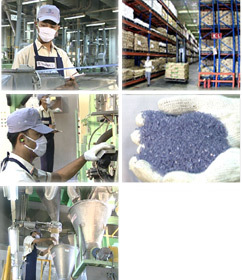 Dainichi Color (Thailand) places great importance on the quality of its employees. the excellent compensation and benefits we provide.